What does your luggage say about you? Funky and fun or boring and bland? 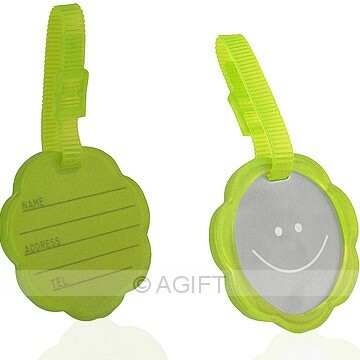 Let your luggage make a statement, with these fun, colourful luggage tags! 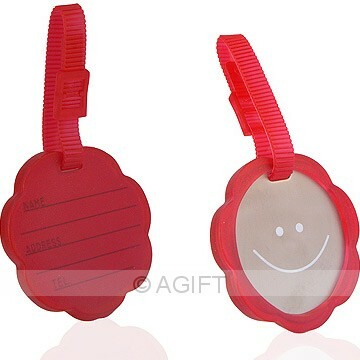 On one side, there's room for you to record your name, address and telephone number. On the other, there's a friendly smiling face! You'll be able to recognise your luggage at a glance - which is exactly what you need at crowded airports! You're an individual...so why not let your luggage be individual, too? Made from flexible rubber and stainless steel. Stainless steel front; back is transparent, allowing you to record your name, address and telephone number. Strong, adjustable strap allows tag to be attached to the handle of your luggage.